This post originally appeared on The Wilson Center’s blog, Sources and Methods. Documents within the KGB Archive. The archives of Ukraine are open and they are filled with former Soviet secrets. Anyone conducting research on the Soviet Union, nuclear history, or the Cold War should visit Ukraine as soon as possible. After being selected as the Nuclear Proliferation International History Project’s fellow at Odessa State University’s Center for Nonproliferation, I first felt delight—the university, after all, was just a 10-minute walk down the hill to the iconic beaches of the Black Sea. But then apprehension set in: What if the archives were closed? What if they were open but bereft of key documents? What if an American foreigner was not viewed kindly by the archivists? Fortunately, I can report that each of these fears was unfounded. The Ukrainian Archives are open (including to foreigners) and filled with historically important, previously secret documents. The city of Odessa has very good research institutions, including its universities, regional archive, and research library (excellent for finding Ukrainian and Russian language secondary resources). Kharkiv also may be of interest to researchers looking at revolutionary Ukraine and Soviet nuclear development; it was the capital of the Ukrainian Soviet Socialist Republic from 1919 to January 1934 and retains documents –including on the Soviet nuclear program—from that period. But for me, the most valuable archival gems were in Kiev. 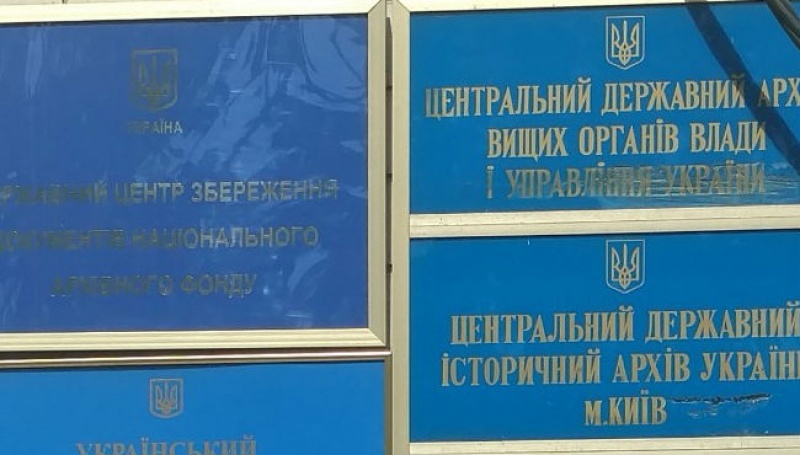 Included in the extremely large collections are the files of the Socialist Republic of Ukraine’s Council of Ministers and corpuses from former presidents of Ukraine Kuchma and Kravchuk. 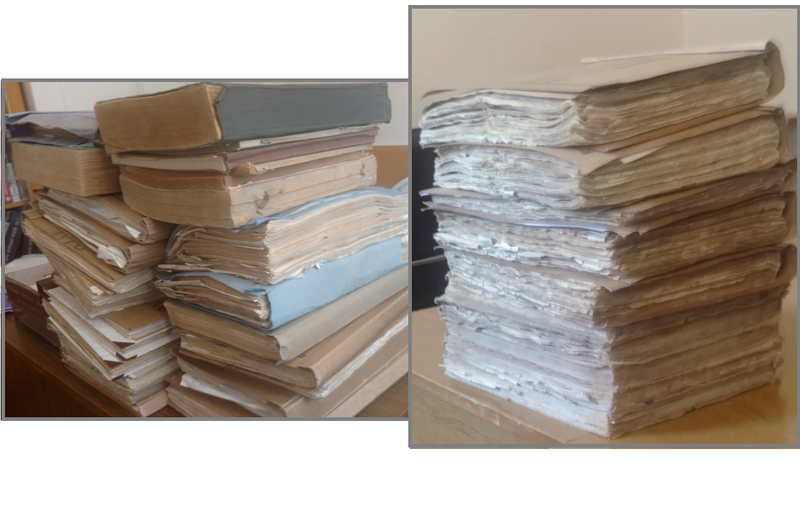 The Ukrainian Ministry of Defense and Ministry of Foreign Affairs also provide researchers access to their historic (generally pre-1991) documents. Access must be arranged in advance and these institutions are a bit bureaucratically trickier to get into, but researchers including Mariana Budjeryn have shown that it is certainly possible and that the documentary fruits are worth pursuing. But the crown jewel of the Ukrainian Archives, at least to this researcher, was the Archive of the Security Services of Ukraine, or simply the KGB Archive. An official invitation must be obtained to achieve access to the KGB Archive, but this can be fairly easily obtained via email by contacting the address listed on the archives’ website. Under the leadership of its director Andriy Kohut, the Ukrainian KGB is demonstrating a path of openness that the archives of other formerly communist countries would be wise to follow. Once inside, researchers have the incredible opportunity for an inside view of how the Soviet organs of state operated, both domestically and internationally. Internal security records from Ukraine’s incorporation into the Soviet Union until its collapse are largely preserved. One typical example is the KGB’s wary and meticulously thorough reporting of its discovery that youths in Kiev were beginning to enjoy a new type of music named “punk rock.” Many of these millions of pages of domestic surveillance files, however, are much more heartbreaking. They include the investigations, arrests, deportation, and executions of millions of Ukrainians in the Soviet Union. Though not as complete as its collection of files on Soviet citizens living in Ukraine, and certainly less comprehensive than the KGB’s central files controlled in Moscow, the Ukrainian KGB Archive nonetheless presents researchers with an unprecedented2 window into the KGB and Soviet Union’s international security operations, foreign policy objectives, and even nuclear history. Fonds 9 (Orders of the KGB), 13 (KGB publications) and 16 (Memoranda between the KGB and Central Committee of the Communist Party of the Soviet Union) provide a chronicle record of Moscow’s security decisions—including such examples as rebuilding from the destruction of World War II, the surveillance of followers (in Ukraine and abroad) of Stepan Bandera, reports from the Odessa docks during the Cuban Missile Crisis, the invasions of Hungary and Czechoslovakia as viewed from Kiev, and—in a document that certainly increased my heart rate– the official transcript of Yuri Andropov’s May 1981 justification for the creation of Operation RYaN as director of the KGB. The lessons I learned—and now teach—at SICAR (The Summer Institute on Conduction Archival Research) all largely applied in Ukraine. The most important step is to plan ahead and start early. Get to the archive first thing in the morning, present small gifts to the archivists, and secure the help from a Ukrainian expert able to point you towards where you should be looking. At each of the archives I mentioned the finding aids are in Ukrainian but—fortunately for me!—the documents themselves are in Russian. Finally, the KGB Archive allows photography of documents, but other archives prohibit it and photocopying was generally not available. Nonetheless, it seemed that the vast majority of archivists and researchers ignored this prohibition; researchers were constantly snapping away. I used an app called Photoscan on my smart phone (flash off) and was extremely pleased with the quality and cataloging of my archival finds. There are countless gems now available to researchers in the Ukrainian Archives and waiting to be discovered. While the Ukrainian geopolitical situation remains fraught, its historical archives have never been more accessible. Another window into the history of the Soviet Union has been opened. The opening of the archives certainly will make the operations of the Stalinist police apparatus more available to historians and journalists. I would think, additionally, that they should also open up to analysis a good deal of the activities of the U.S./CIA – and Western military and intelligence agencies in general – in Ukraine and the USSR. Observation, analysis and interdiction of such activities were certainly a primary function of the Stalinist police and intelligence agencies, even if they were otherwise infected by paranoia and other insanities. Will you write about these kinds of findings as well, or are you even looking for them? Is this only about documenting Soviet atrocities? Historians would like as full an accounting as possible, and we all don’t speak or understand Russian.